It all started because of a cemetery. The original cemetery commissioned for use by Fort Wallace in the 1860s was slowly deteriorating. The limestone walls were crumbling, headstones were falling over, and the eagle that was once proudly perched atop the cenotaph had mysteriously disappeared. A concerned group of citizens realized that if they didn't do something to preserve this vital piece of local, state, and national history, no one would. And so the Fort Wallace Memorial Association was born in 1925. In just a few years the limestone walls were erected again, and the cemetery received newly repainted headstones, complete with names, dates and causes of death where known. The Association then turned their attention to another need...the need to have a museum in which to display all the artifacts that had been collected throughout the years. The first museum was set up in the existing (but no longer used) Wallace County Bank. Later, in 1961, a limestone museum was erected on land that had been recently donated to the Association by Cecil and Lois Pearce. 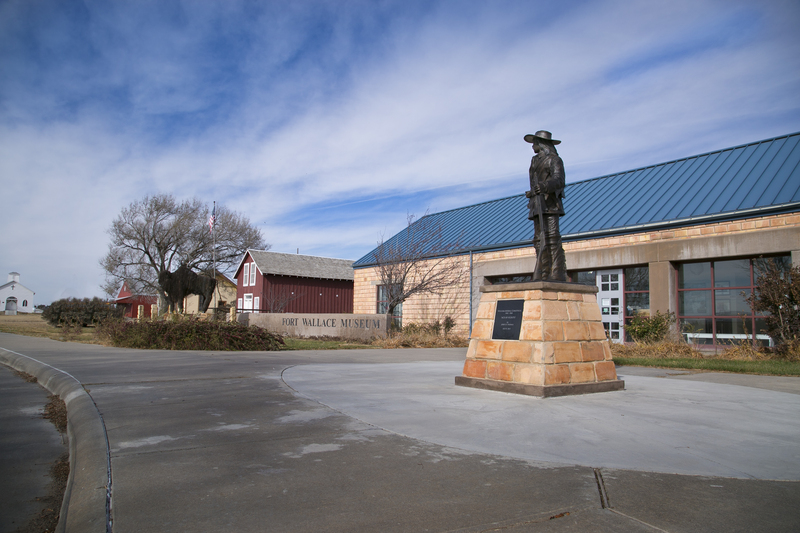 The Madigan family (for their story, see History) donated the original Pond Creek Stage Station and the Association acquired the Weskan Railroad Depot. Both buildings were relocated to where they sit now, on the west end of the museum.